“Life is better when you surf,” is the mantra that fuels operations at Global Surf Industries (GSI). An intensely strong devotion to surfing, combined with the desire to spread the love and enjoyment company president Mark Kelly derives from this elegant and mighty sport, shaped GSI’s company philosophy. He spread his passion for surfing by providing consumers around the world, of all skill levels, with a great range of quality surfboards that provide excellent value for their money. “At GSI, we all understand how surfing has changed our lives and the day-to-day benefits of being part of the surf culture. We believe that if we work hard to spread the company mantra across the world, the success of our business will be assured. 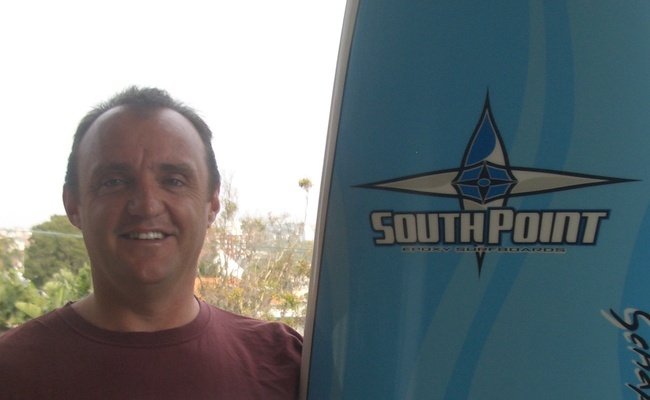 Our mission in life is to get you onto the right board and into the water as quickly and often as we can,” says Kelly. With a 92% customer satisfaction excellence rating according to recent customer feedback surveys, they certainly seem to be accomplishing that mission. Founded in June 2002 by Kelly, GSI is now the world’s largest distributor of surfboards, selling boards from Beginner to Pro Standard. GSI operates their US office in San Jose, CA. They also have distribution operations in Australia, and support a network of distributors in 19 other countries. Today, GSI has a portfolio of 11 brands and remains very deliberate and strategic in their brand selection. Each caters to a particular type of surfer with a specific level of surfing ability. Their sales will exceed US$20,000,000 in 2007 globally. With the help of Premier Accounting, they are setting the standard of service and professionalism in a new era of business for the core ingredient in the surf industry. Staffed with 11 employees worldwide, Premier Accounting is responsible for the accounting in GSI’s San Jose office as well as their Australian location, connected using VPN and Remote Access via Terminal Server so the two offices can seamlessly work together. The software was easy enough for them to set up with one staff member in conjunction with their part-time Financial Controller. GSI uses virtually every command center found in Premier Accounting, and have customized their Invoices, Statements, and receipts to add a personal to touch to company documents. The AR reports, Sales, Card File, and Inventory reports are crucial to their business operations. Statements and invoices are emailed to their customers and two warehouses through the EDI modules that have been specifically built for them by Certified Consultants. Credit cards are processed with Merchant Account Service. “It is really pretty simple and the support is excellent. Any questions can be solved in minutes on the phone,” says Kelly, who is enrolled in an Complete Support plan. At one point, when Kelly thought that that perhaps GSI had outgrown Premier Accounting, he actually purchased a more complex, expensive accounting program to help them get to the next level. After only days of in-person training on the new package, they found out they needed three additional employees to run the software. Kelly became discouraged and had the technicians stop training. “We went back to software because it saves us time, money, and stress,” says Kelly.